Spent the afternoon over at the Ice Skating Rink at the SM Megamall Fashion Hall for the promising partnership of SM Lifestyle and Entertainment Inc. and our athletes who are preparing to represent the country in the Southeast Asian Games. 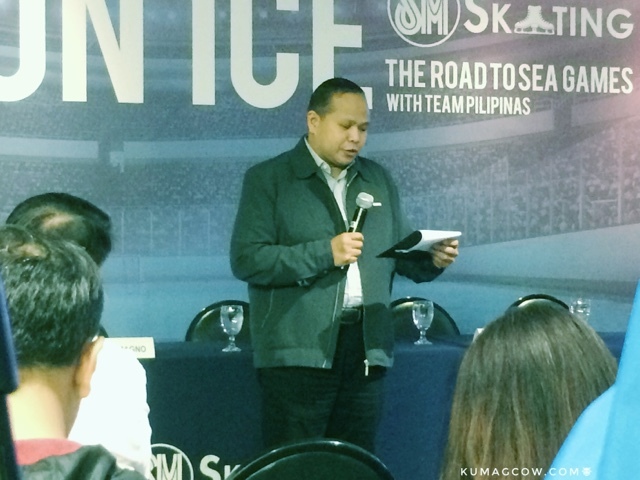 During the opening remarks, their executives said "We are delighted and honored to join Ice games in the SEA Games and we are gearing to winning Gold Medals for the country." During the press conference, Kathryn Magno (for Short Track Speed Skating), Jules Alpe (for Figure Skating), LR Lancero, Julius Santiago, Miguel Relampagos, BJ Imperial, Jorell Crisostomo and Francis Gautier for Hockey wanted to rally for the Philippines. They fervently hope that it won't be just the organizations supporting them, but the whole country. Kathryn says "I am the first speed skater and I want to promote the sport even after the games. I hope a lot of people get to see the potential of Filipinos in this sport and hopefully win more medals for the country soon. I started as a figure skater but did it in 2008, to be motivated no matter what age you are is adamant to success. 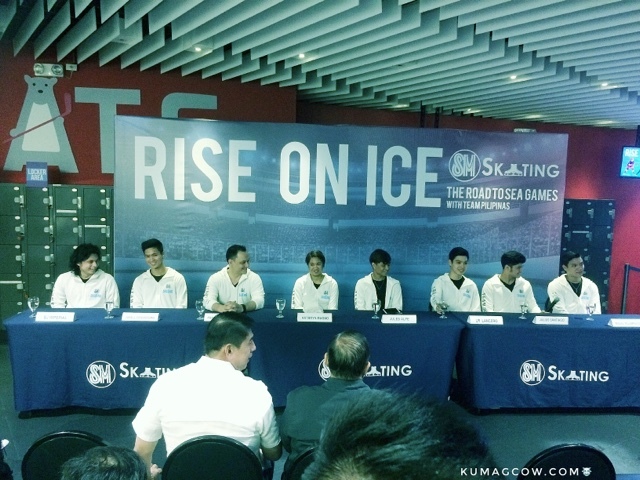 This is a nice place to train, we are able to do this with SM SKATING to perform in well in Southeast Asia." Francois adds "We have been preparing and practicing this for a long time. We are also planning to have a short bonding session a few weeks before the games. Some have been playing for a long time but we have new ones so we need to bond so we won't be awkward on ice. There are private companies like SM LEI and some government agencies that help. Our toughest opponent would probably be Division 1 Gold Medalists Thailand but that doesn't mean we can't play toe to toe with them or with any team in the world. We had the liberty of choosing athletes based on the role they play on ice. We practice countless hours and prepare to play for a longer time, we do this three times a week and practice even more with conditioning on our off days. You'll see us perform more in the SEA Games and hopefully win the Gold for the pride of our country. We are not just representing ourselves as individuals here, especially in the SEA Games." Here's to hoping they bring more Gold medals for the country and hopefully their best performance against our fellow Southeast Asian countries.